The Kerrigans risked everything to stake a claim under a big Texas sky. Now one brave woman is fighting to keep that home, against hard weather, harder luck, and the West's most dangerous men. A Ranch Divided. 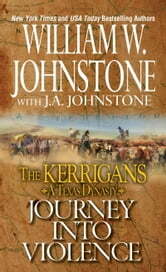 . .
After a long hard journey up the Chisholm Trail, Kate Kerrigan is in Dodge City, facing a mystery of murder. A cowboy she hired, a man with a notorious past, has been accused of killing a prostitute and sentenced to hang. Kate still trusts Hank Lowry. And when a hired killer comes after her, she knows she has struck a nerve. Someone has framed Hank for murder--in order to cover up a more sinister and deadly crime spawned in the musty backrooms of the Kansas boomtown . 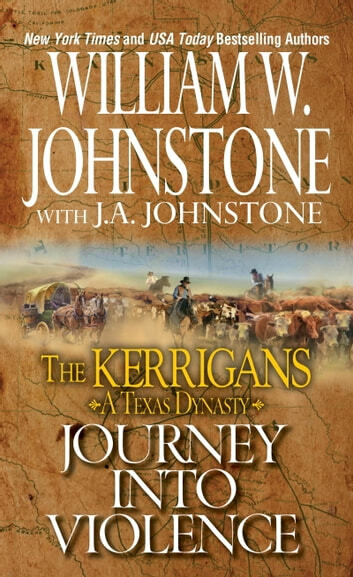 . .
Back in west Texas, the Kerrigan ranch is under siege. A wagon train full of gravely ill travelers has come on to the parched Kerrigan range, being led by a man on a secret mission. With Kate's son Quinn manning the home front, one wrong step could be fatal when the shooting suddenly starts . . .